The faster is the technical progress developing, the more sophisticated and ingenious become the fraudsters’ attempts to turn it to their advantage. The more actively we replace cash money in our pockets with credit cards, the more ways to hack money from our bank accounts emerge. Not to become an easy prey for fraudsters, it is useful to know what techniques the violators use to steal data from credit cards. We are going to provide an overview of the fraudsters’ favorite methods of credit card fraud. How does the credit card fraud occur? ATM overlays on a keypad. The thief sets a barely noticeable cover plate on the top of the real buttons. And this device is able to “remember” the digits of every PIN-code. 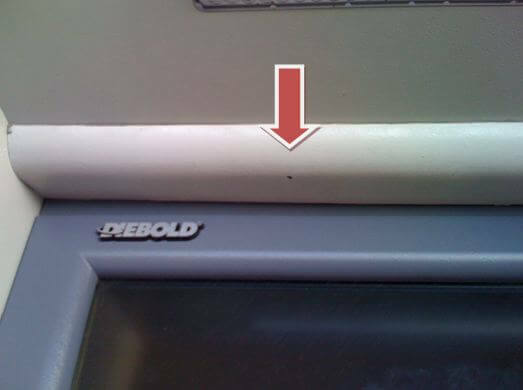 A miniature camera can be attached just above the screen under the hood of the ATM and transmit images to the nearby fraudster’s laptop. Yet, it’s easy to withstand this method if to have a habit of covering a keyboard with your hand while typing the PIN (just in case). Visual observation. The PIN-code may be simply peeped by the person standing nearby. Fake ATM. They are usually installed in popular walking areas. Of course, this ATM does not give money. Instead, it records all PIN-codes of the inserted cards. It can also read data embedded in the magnetic strip. These data may further help to make a full-fledged copy of the credit card. 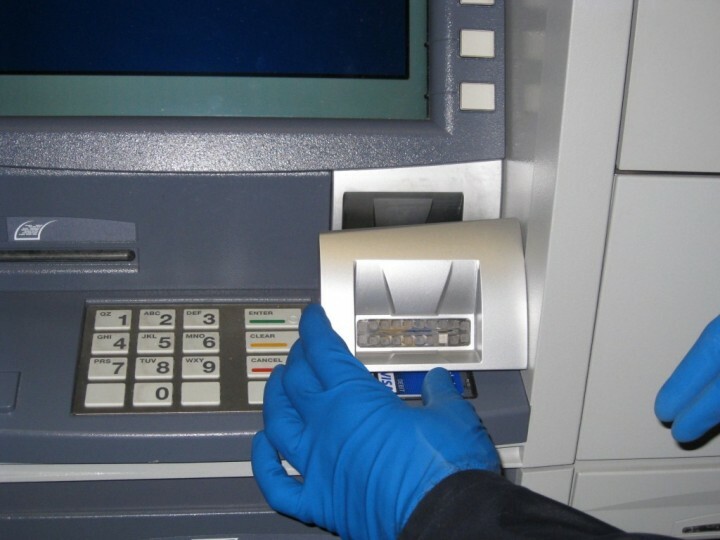 A fake ATM is a large-scale variant usually applied for a long-term operation. It’s unlikely that anyone would turn to this method for the sake of one or two stolen PIN-codes. Once a fraudster receives a PIN-code, he needs to get a credit card data. He can steal it – the simplest method. He can defraud the card holder. For this purpose, a special plastic envelope unnoticeable at a casual glance is enclosed into the card slot. 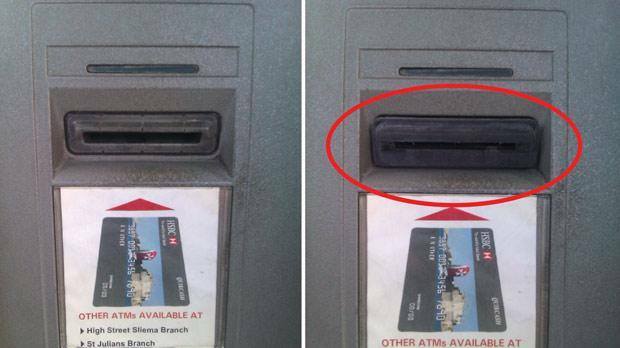 When a cardholder tries to withdraw money, the ATM does not ‘see’ the card through the envelope. It’s also impossible to return the card without knowing how to do this. Then a seemingly well-meaning stranger comes up and says that recently he has faced the same problem and tackled it by typing the PIN-code twice and pressing the enter button. After a several predictably failed attempts a victim goes to inform the bank about the incident. The fraudster gets your credit card with an envelope (he knows how to do that) and withdraws the money, using the code you just entered. These two methods have one disadvantage: the limited time for cards use. When realizing the fraudster has stolen money from the card, the customer will immediately ask the bank to block it. The more time passes after the fraudster had withdrawn the money, the better it is for him. That’s why there is one more method. He can make a duplicate of a credit card. Another one way to get necessary information is skimming credit cards. Here again, the main instrument is a pad placed over the real card slot, but not to make a credit card invisible for the ATM, but to copy the data from the magnetic strip. For the cardholder everything happens as usual: he inserts the card into the slot, enters the PIN-code, withdraws money and leaves happy. After that, the fraudsters take the skimming pad away and copy the data on their own magnetic tape (even usual video tape is suitable). To make a quite efficient duplicate of a credit card, it’s enough to stick a tape on the piece of plastic of a suitable size. And then just wait when a large sum of money hits the account – and reap the harvest. To connect to the cable via which the ATM communicates with the bank, and get the necessary data. Technically it seems difficult, but taking into account the number of instructions on the Internet, this method can become quite common. The fraudster may collude with a dishonest bank employee. But a significant amount of money should be at stake for a bank clerk to be bent on it. After all, very few people want to risk their job (and often freedom) for cents. There is a possibility of unfair treatment with your credit card in public services – stores, restaurants, etc. After all, it’s not a problem for a cashier to swipe a card through the terminal twice and to charge a sum slightly differing from that of your purchase. Even if a cardholder notices it, the cashier can always reduce it to a computer error. Remember, it’s possible to shop online without the card itself. It is enough to know its number (PAN), expiration date, the owner’s name (card holder) and CVV code. All these data are on the card – the fraudster just needs to find the opportunity to see them and remember or copy. Carefully inspect the ATM before inserting the card in it. It is better to use ATMs located in the bank premises because the fraudster won’t be able to complete the fraud there. If you live or work far from the bank branch, choose ATMs equipped with surveillance cameras and frequently visited by cash-in-transit guards. Keep your credit card in view when it is in someone else’s hands (for example, a cashier at the supermarket). Entrust your money only to banks for which data protection is not an empty phrase. This means such a bank has a compulsory client’s identity check before every withdrawal of funds or funds transfer to another account. It is a must to use two-factor authentication (or two-factor authorization, as it is sometimes mistakenly called) for the bank. Among most proven authentication methods are one-time password delivery via SMS, and OTP generation with the help of hardware and software OTP tokens, such as those offered by Protectimus. 2FA can help avoid damage even when the CVV and PIN-code have become known for attackers. Unfortunately, it’s impossible to completely eliminate the threat of credit card fraud, but these preventing measures can significantly reduce the chances for it.